When it comes to repairing or replacing the roof at your Towson area home or business, the cost is a huge factor. You certainly don’t want to overpay, but at the same time, you don’t want to cut corners and settle for subpar service. Luckily, you can partner with Roland Slate Service Company and receive plenty of discount options for all your roofing needs. Plus, you’ll have the peace of mind that comes from working with a company with more than three decades of experience. At Roland Slate Service Company, we begin the roof repair or replacement process with a free inspection and estimate. So right off the bat, you are already saving money when compared to some other roofing companies. We know the industry inside and out and work directly with the manufacturers to offer you the lowest possible prices for our products. Moreover, our roofing technicians are the best in the business, and we promise a flawless installation backed by comprehensive material and labor warranties. As for discount options, we are a roofing company that believes in sparing the customer’s pocketbook from unnecessary expenses. We will also lay everything out on the table during the quote, and will never stoop to charging hidden fees. 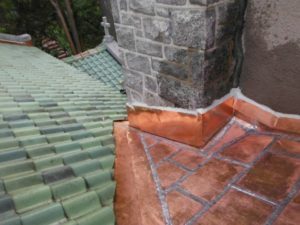 To get a clearer idea of the discount roofing options we have available contact Roland Slate Service Company today and set up a free consultation at your Towson area home.